Bathroom Kids Shower Curtains Ideas – Looking for an easy and inexpensive way to let your child personalize the bathroom? Kid’s shower curtains are the perfect solution. Whether it features a favorite television or movie character, cute animals, or a topic that interests them, a fun shower curtain adds a pop of color and personality to your child’s space. 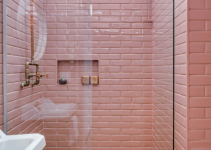 Many companies also make other kids bathroom decor accessories like hampers, trash cans, and window coverings to match the shower curtains for a complete look. If you have multiple kids who share a bathroom, shower curtains are affordable enough that each child can choose one and you can switch them out occasionally to avoid fights. Low prices also make kid’s shower curtains a cheap way to totally transform your child’s bathroom when their interests change without having to entirely redecorate. Shower curtains for kids come in two types of fabrics, polyester and vinyl, and you can choose which one to purchase based on your needs. Polyester shower curtains are machine-washable and lighter in texture while vinyl ones are more heavy-duty and can wipe clean with a wet cloth. Below you will find 35 cool home decoration ideas for boys and girls, little ones and preteens, that will transform their bathroom into a fun oasis! 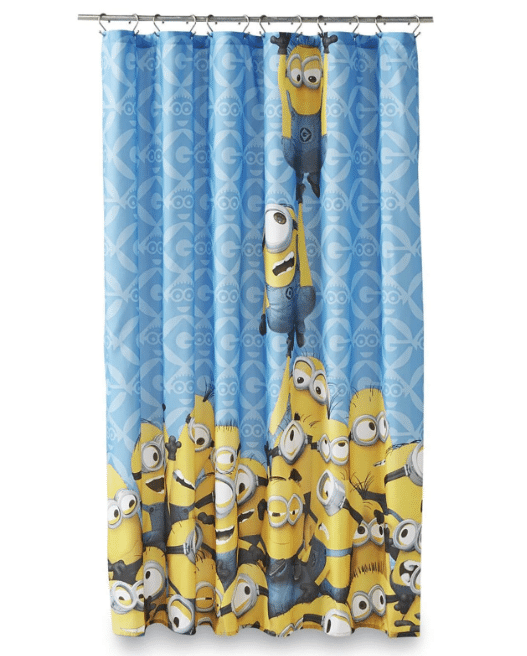 Relive the mayhem of everyone’s favorite yellow characters with this fun curtain. With “life sized” minion friends in the bathroom, kiddos are more likely to look forward to bath time and teeth brushing. The soft microfiber fabric can be popped into the washing machine for easy cleaning. Add a rainbow of color to your little princess’s bathroom with this girls shower curtain. The colorful picket fence, wildflowers, and cute cartoon owls will add some sunny country charm to her space. The waterproof polyester curtain doesn’t need a liner, so you can put it up immediately to transform the room in a snap. Surf the EAC with Crush, Dory, and Marlin when you hang this colorful curtain! 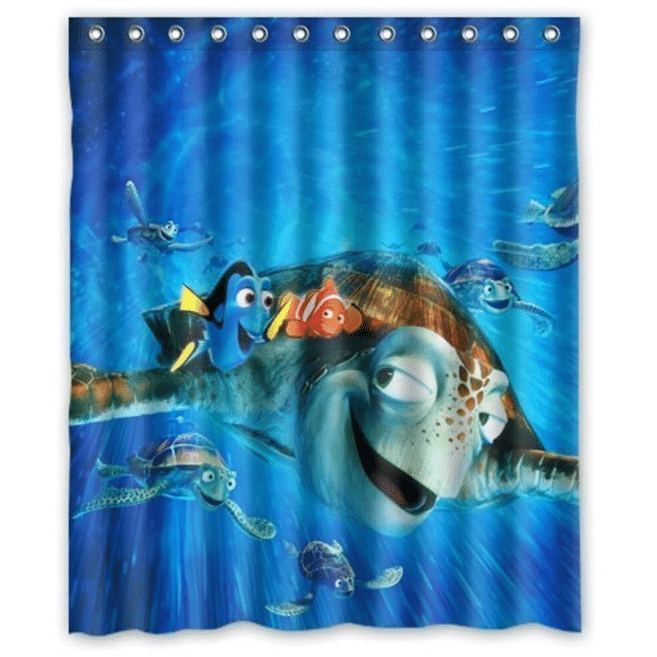 Your little ones will love showering amongst their favorite Pixar characters. It is machine washable and made of environmentally-friendly materials. Its reinforced top and metal grommets ensure this curtain will stand up to years of wear and tear. 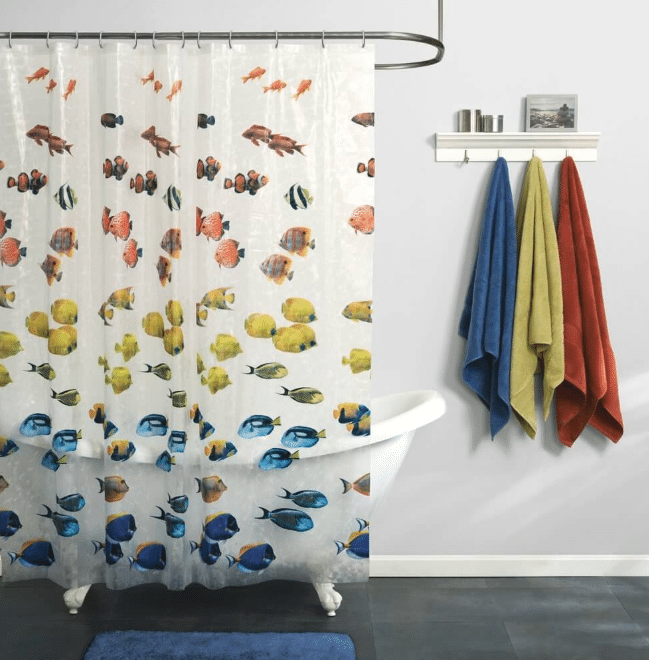 The bold colors and photo-real fish make this shower curtain a home decor idea all ages will adore. The vinyl fabric is easy to clean and is good for the environment, too. Your kiddos will be excited to “swim” in the tub when they see this fun fish curtain. 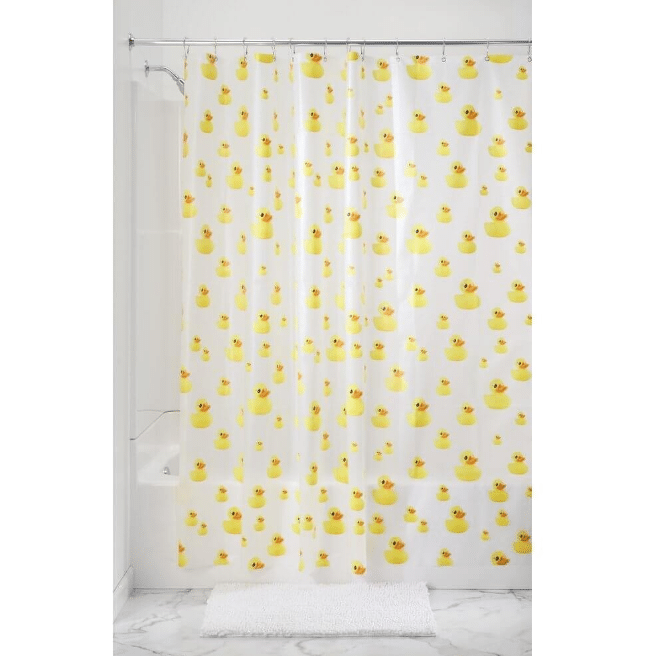 Your kids will “quack up” over this cute shower curtain. The sunny yellow duck print is great for boys and girls alike. The metal grommets and reinforced top make this curtain ideal for even the most rambunctious children. You don’t need a liner so you can just pop it right onto your shower! 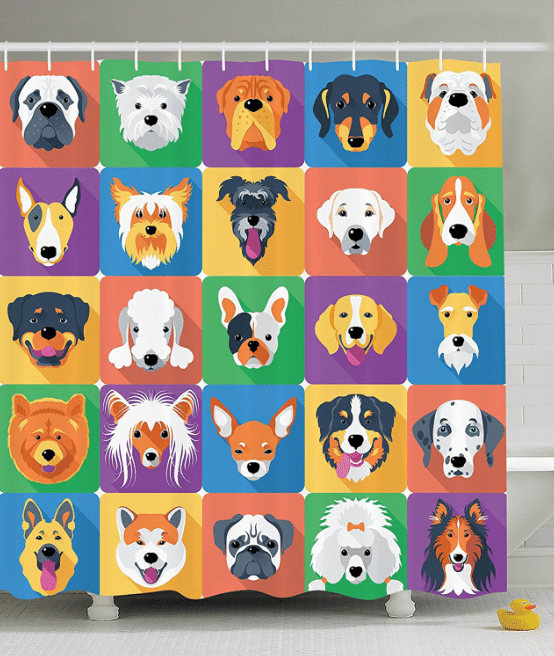 If your little ones love animals, they’ll flip over this cute dog curtain! 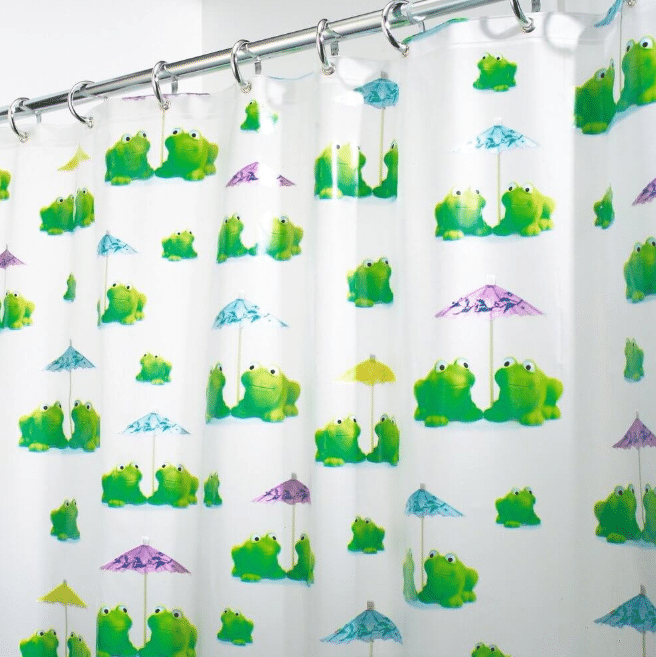 Unlike some kid’s shower curtains, this one is stylish enough that they will not “grow out of” it. Add a pop of color to your kids’ bathroom with this waterproof, mold-resistant polyester curtain. 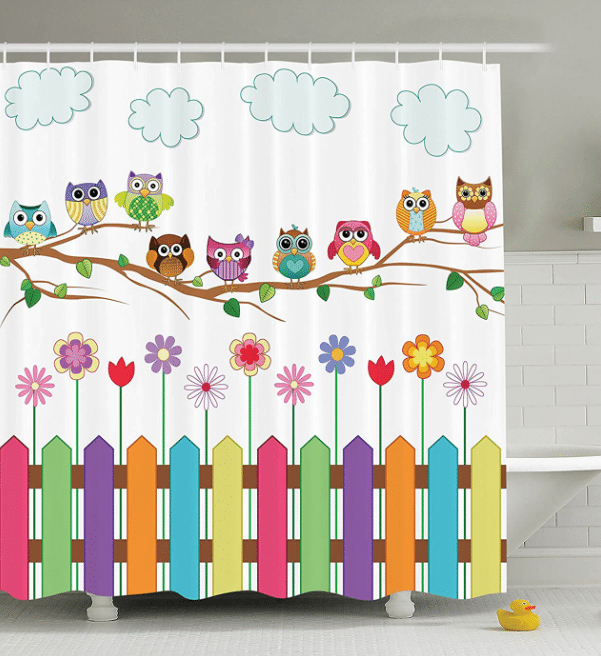 This colorful curtain is perfect for kids bathroom decor because it is both fun and educational. 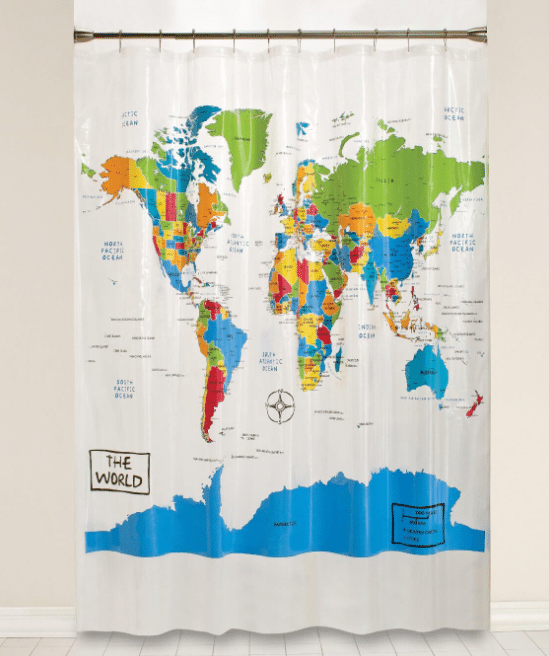 You can show your family’s love of travel or help your kids learn geography all while getting ready to shower! The bright colors pop against the clear background, livening up even the dreariest of bathrooms. 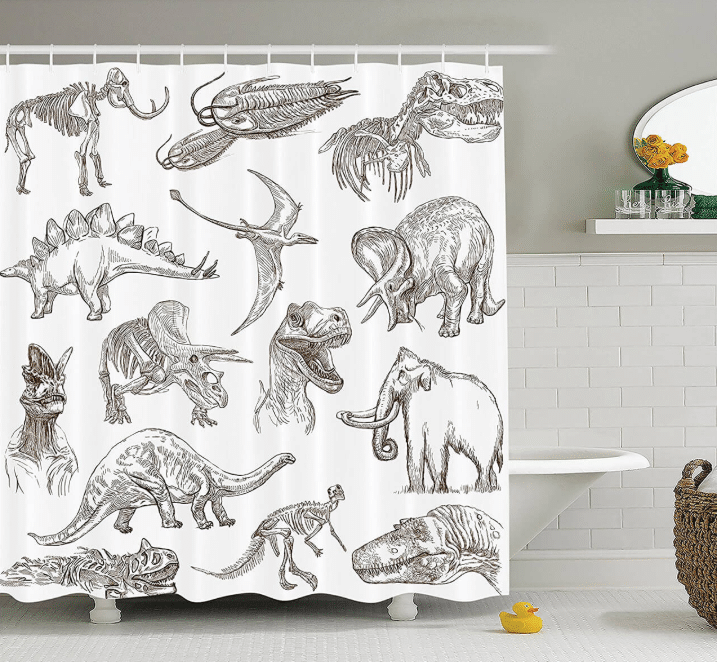 This is one of the best shower curtains for kids and adults alike! Add a tribute to your family’s favorite movie series with this easy-to-hang, machine-washable fabric shower curtain. Its bright, bold space background and character graphics will make you feel like you’re in a galaxy far, far away. Your kiddos will love splashing around in the tub when you hang this cute frog shower curtain. The eco-friendly vinyl fabric is waterproof so it doesn’t need a liner, plus it easily wipes clean. The rust-resistant metal grommets at the top ensure that the curtain won’t tear, even after years of use. Take your bathroom back in time with this boys shower curtain. The black and white color palette help this curtain match any bathroom decor. Its mold- and mildew-resistant fabric is machine washable for easy cleaning. This is an inexpensive and easy way to transform your child’s bathroom to match his interests. 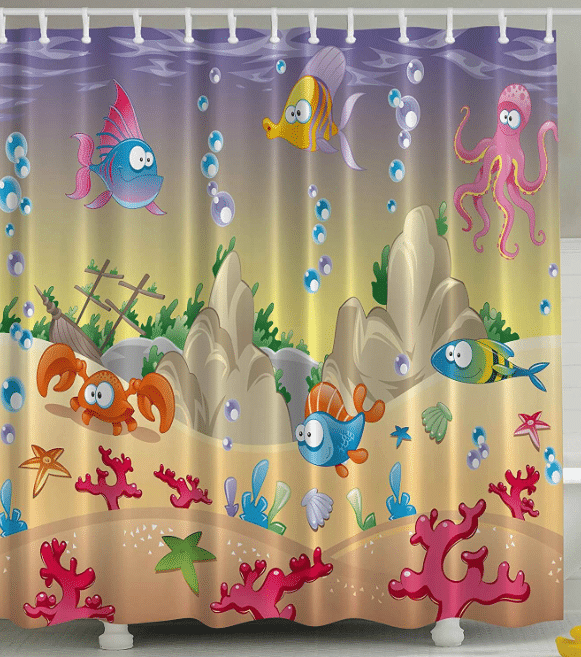 You will feel like you are on the ocean floor with this cute shower curtain. 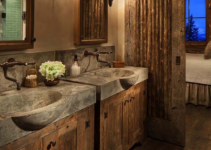 The vibrant colors look great in any bathroom, matching a colorful bathroom and brightening up a more neutral space. Its polyester fabric is resistant to mold, mildew, and soap scum so you and your kids can enjoy this fun home decoration idea for years.